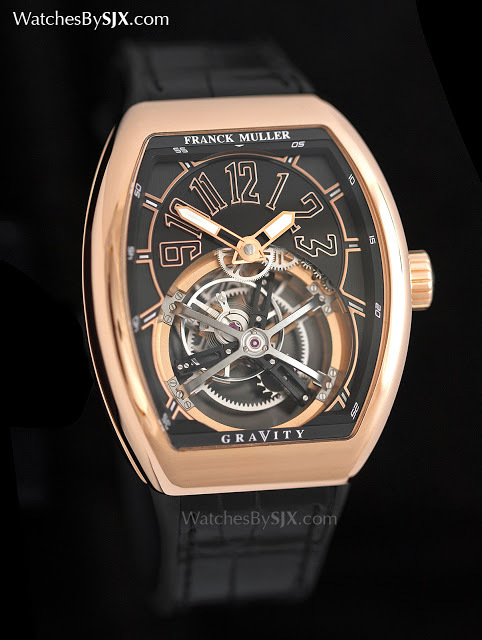 Equipped with an oversized tourbillon that fills up more than half of the dial, the Franck Muller Vanguard Gravity is a reminder of why visual impact is so important in a tourbillon. 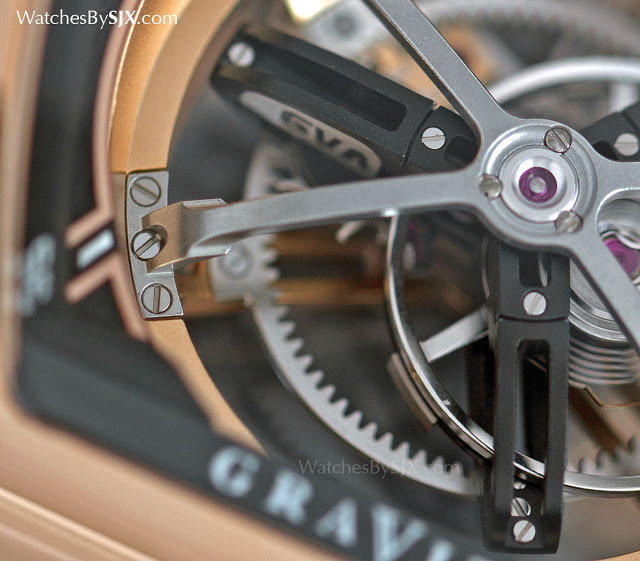 Despite pretensions to the contrary, tourbillons are largely aesthetic, rather than functional. That being the case, a tourbillon should be visually impressive, even dramatic, a tiny spectacle on the dial. 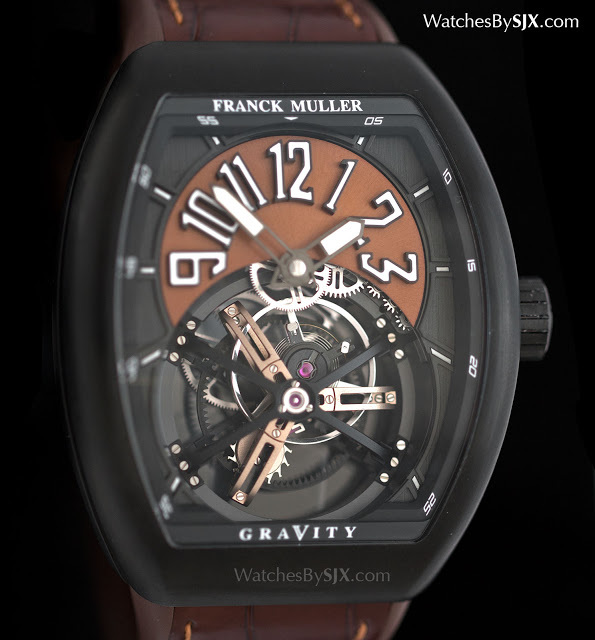 The Franck Muller Vanguard manages that by sheer dint of size, with a tourbillon bridge that is some 21mm in diameter, completing dominating the dial. 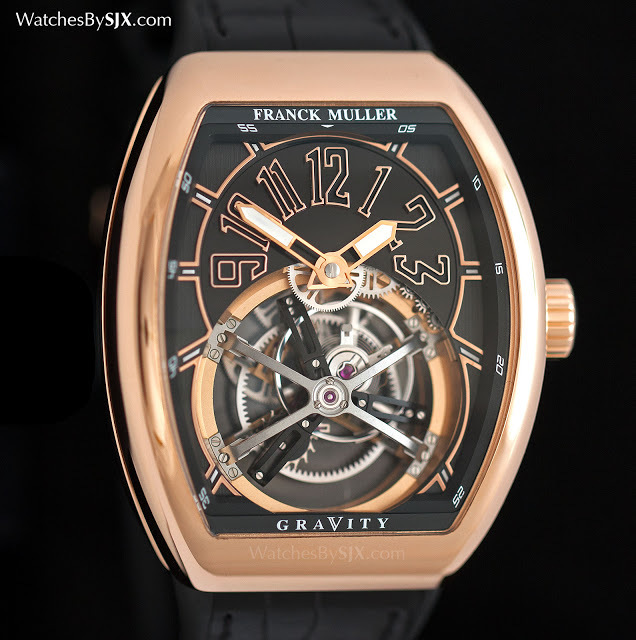 Franck Muller has historically been adept at creating unusual tourbillons, notably the multi-axis Revolution or the ultra-large Gigatourbillon. The newest addition to its stable of tourbillons is the Vanguard Gravity, which boasts an oversized and unusual, ellipse-shaped tourbillon cage. It’s equipped with an in-house movement that has a five day power reserve. 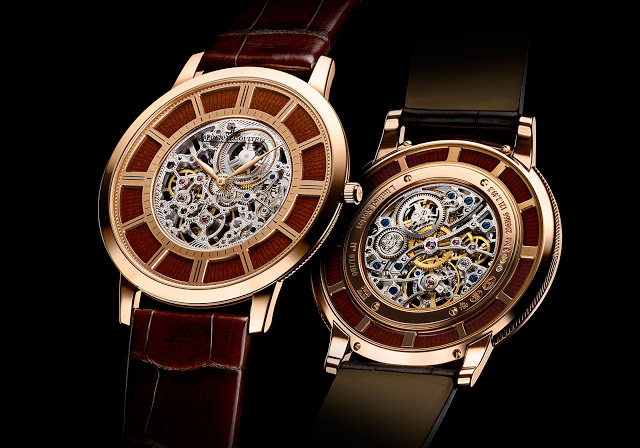 Rising upwards from the opening in the dial, the bridge of the tourbillon, a massive, four-armed structure that looks like it was appropriated from a suspension bridge, measures 21.2mm at its widest, larger than some ladies’ watches (even the Rolex Lady Datejust is only 26mm in diameter). Six different coloured PVD coatings are available for the bridge, though the plain steel bridge looks the most purposeful. 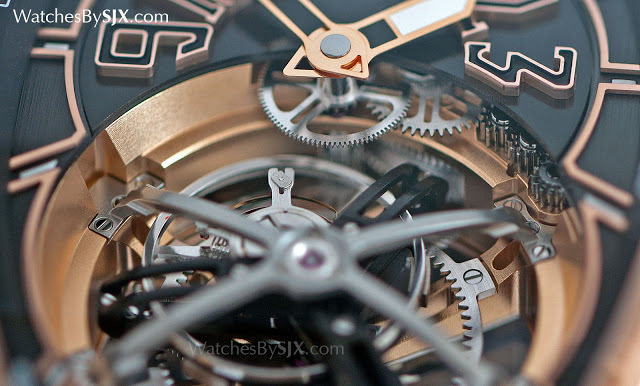 Three screws hold down each arm of the tourbillon bridge, which has a plain, probably too plain, frosted finish. The decoration here, as well as for the rest of the movement, could do with more attention. 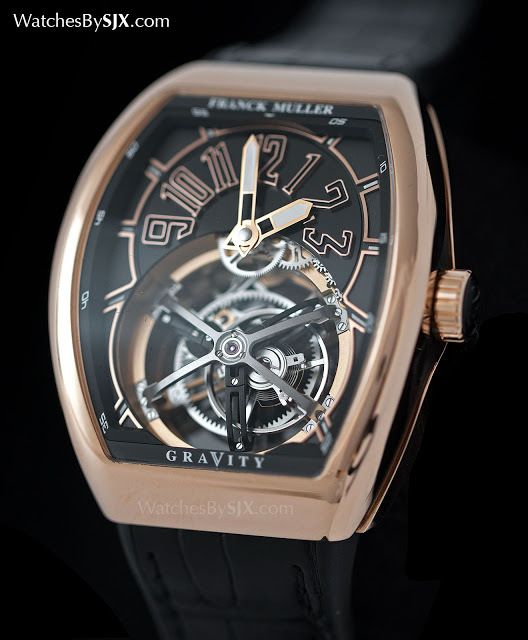 Made of black-coated aluminium for lightness, the tourbillon cage makes one rotation a minute. And it’s is shaped like an ellipse because the balance wheel is set off-centre. In most tourbillons the balance wheel shares the same axis of rotation as the tourbillon cage, but in the Gravity it’s slightly eccentric. 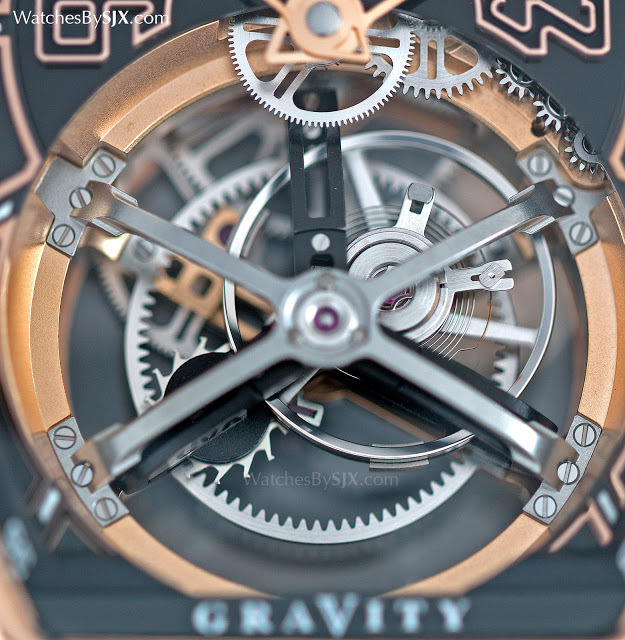 Its position means the arm of the cage that sits opposite the balance wheel is significantly larger to compensate. 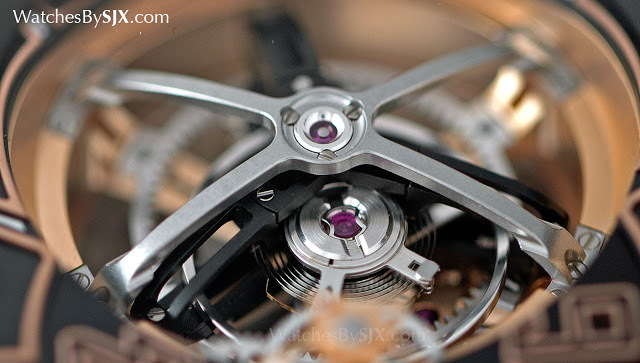 Though small compared with the cage, the balance wheel is an enormous 14mm in diameter, exactly the same size as the balance found on the MB&F Legacy Machine 1. It beats at a relatively slow 18,800 beats per hour. Though effective, the Etachron-style regulator and flat hairspring is a let-down, however, given its ordinary appearance and prevalence in lower-end movements. 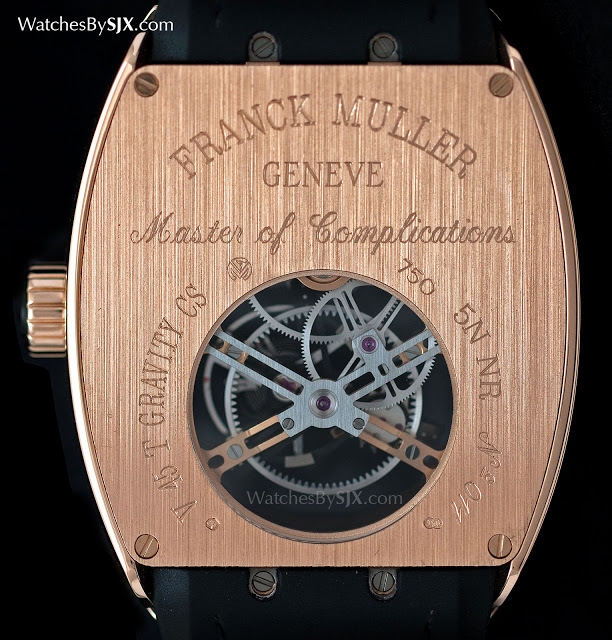 The case is a variant of Franck Muller’s signature Cintree Curvex case, with the lugs removed and the strap (rubber with a crocodile top) integrated into the case. 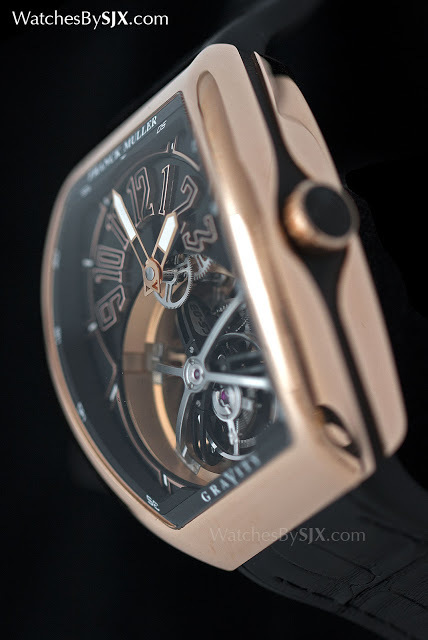 A rubber inlay running along the length of the case is meant to echo the lines of the strap. 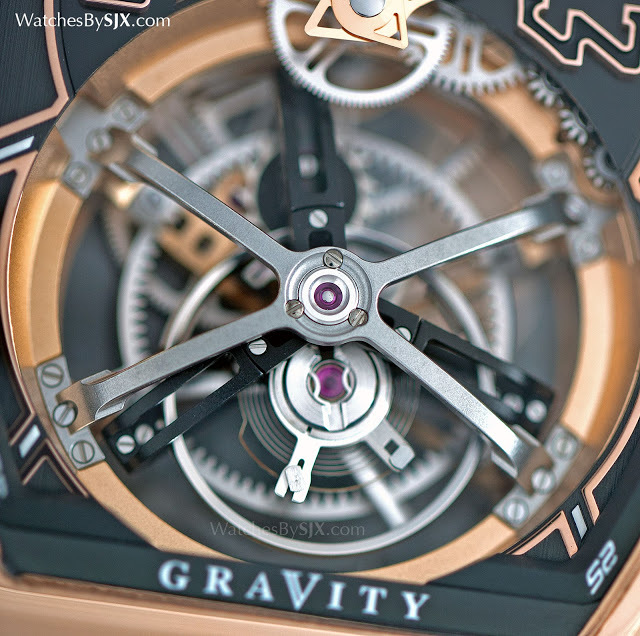 The Vanguard Gravity in rose gold is priced at S$184,661 with 7% tax, which is equivalent to about US$135,000. 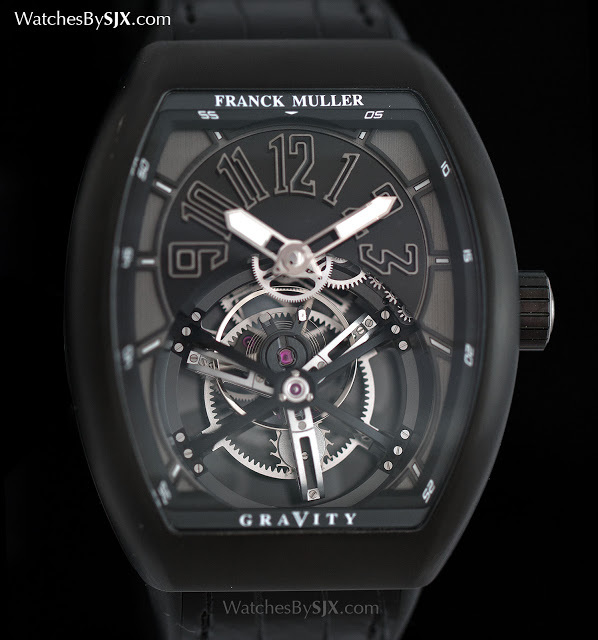 It’s also available in white gold for the same, and in black coated titanium for S$168,611. 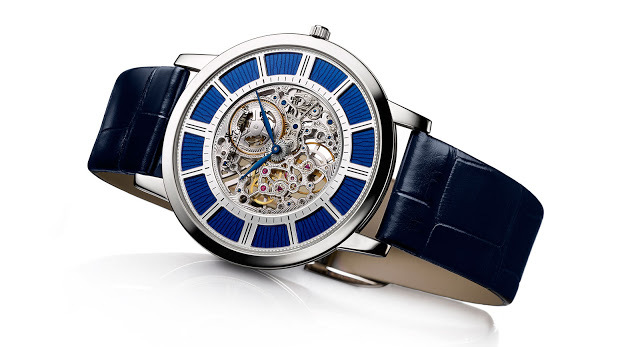 Jaeger-LeCoultre combines open-working and enamelling in the Master Ultra Thin Squelette that measures just 3.6mm high, clinching the title of thinnest watch in the world. 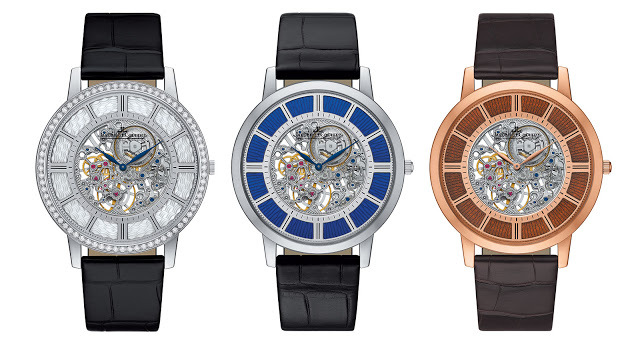 As a warm-up for the Watches&Wonders fair that takes place in Hong Kong at end September, Jaeger-LeCoultre has announced the Master Ultra Thin Squelette decorated with Métiers Rares, or “rare handcrafts”, like skeletonisation and enamelling. And it’s powered by the calibre 849, a hand-wound movement introduced in the 1970s that remains amongst the slimmest ever, despite its age. The Master Ultra Thin Squelette is equipped with a movement that’s near 40 years old, illustrating the physical limits of movement thinness. Beyond a certain limit the parts are just too thin to be reliable. The calibre 849 was introduced in 1975 and measures just 1.85mm high. Exceptionally thin, the Master Ultra Thin Squelette claims the title of slimmest watch on the market from the Piaget 900P – by just 0.05mm. Unlike the Piaget 900P that rethinks traditional movement construction, the Master Ultra Thin Squelette’s advantage lies in its case. Reduced to the bare minimum, the case is just 3.6mm high and almost razor like. 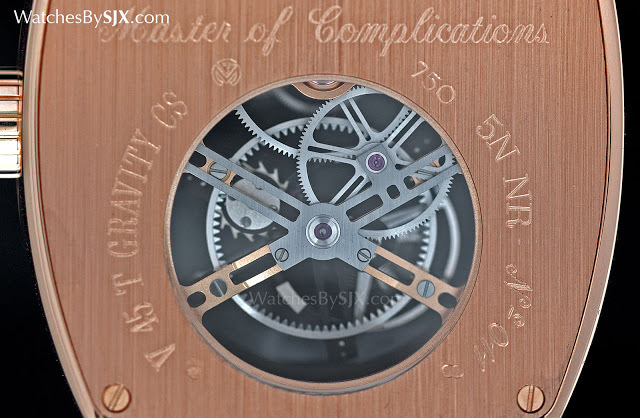 The circular band of the case is separate from the lugs, which are secured by four screws. And the movement is under a back held down by another four screws. 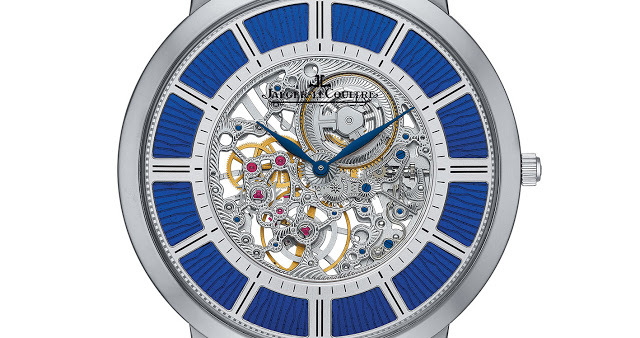 Because the movement is relatively small, the case is 38mm wide, a hand-enamelled chapter ring – in blue or burgundy – sits around the skeletonised movement. It’s pleasing in its proportions, despite the mismatch between case and movement size. The same aesthetic was used for the Grande Reverso Ultra Thin Skeleton, essentially a rectangular version of this watch, as well as the Master Grande Tradition Perpetual Calendar. Also 38mm wide is the Master Ultra Thin Squelette gem-set version, which is 4.7mm high because of the diamonds on the bezel. Instead of enamel the gem-set version has an engraved mother of pearl chapter ring.